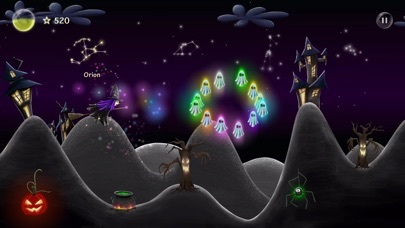 Universal Stars and Ghosts (by LANDKA®) - Boo! Discussion in 'iPhone and iPad Games' started by LANDKA, Oct 27, 2016. 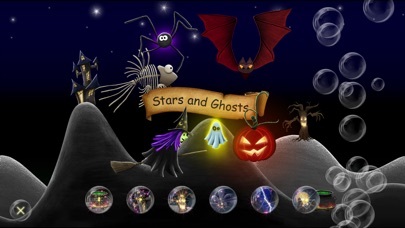 Stars and Ghosts has just been updated for Halloween. 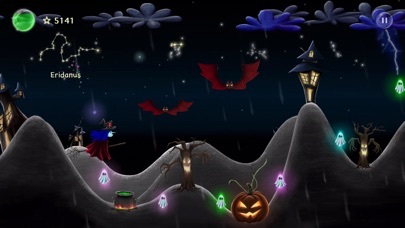 Prepare your Broomstick! Available for iPhone, iPad, AppleTV, Mac, Android, Kindle, Android TV and Fire TV. 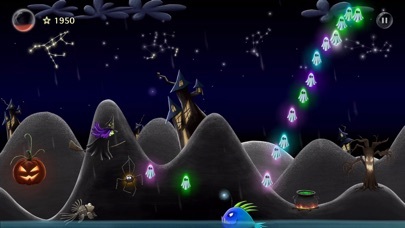 spooky hills are full of Ghosts to catch! to send stars back to the light! catch them all, dont let them fly! and use spiders to power up your witch! turn a nice little witch into a bad, mad one! and unlock spells beyond your imagination! For Halloween lovers and everyone else. Looks nice! Paid or Free? Free with no strings attached. There are some generous people about. Simple gameplay and very nice graphics. Edit: I found some IAP; but you have to go looking for it. Star doubler etc. Apple TV, nice. I know where I'll be playing this from. The game is cool, hard but very cool. 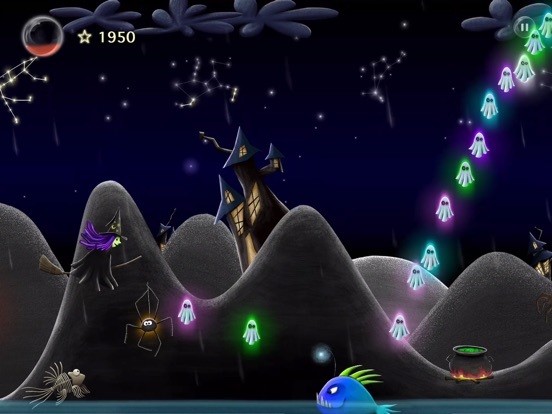 Does the game progress sync between iphone and apple tv? 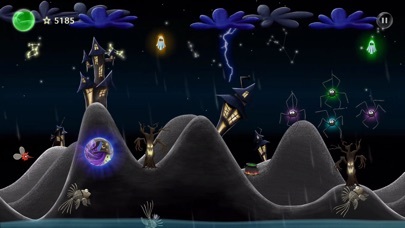 The game is available for iOS, tvOS and Android but it does not sync between platforms. 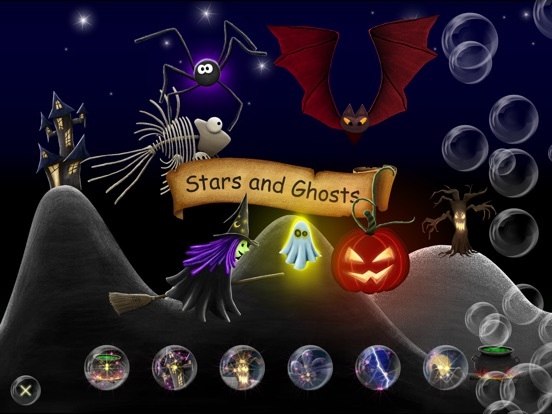 Stars and Ghosts has just been updated for Halloween. I've just tried this on my AppleTV. 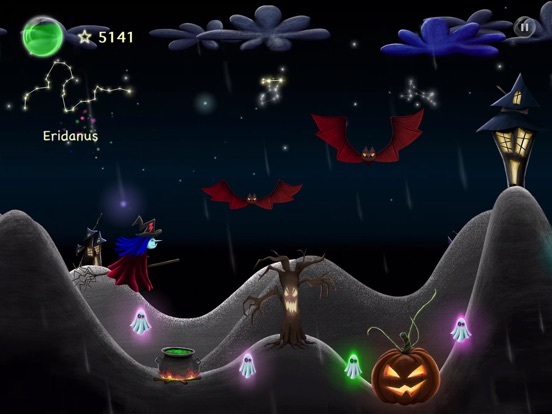 Very nice halloween game with no ads. What can I do with the stars? Upgrade the witch? 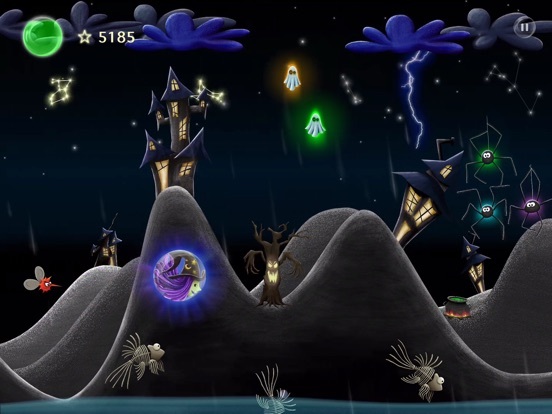 There are eight "power-ups" in the main menu (bottom left). There you can upgrade your witch or get bonus. Love the game. Nice graphics and super-easy control. 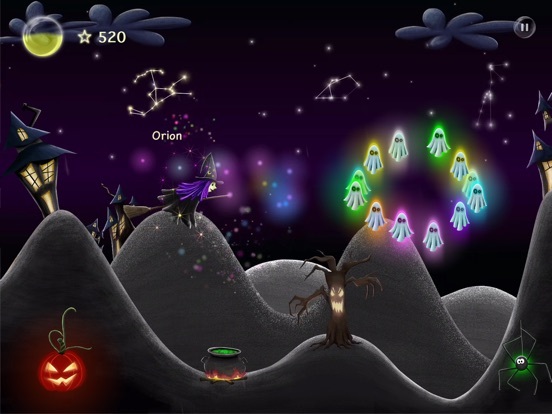 Stars and Ghosts is a great Halloween game for kids. Enjoy!